Our favorite new guide to cooking. Samin Nosrat answers How and Why! The food sensation of the year is Samin Nostrat’s Salt Fat Acid Heat — both the book and the four-episode Netflix series. We are particularly enamored by the Netflix segment, Fat, as it was filmed in Italy. The segment features Taggiasca cultivar olive oil from Liguria, making focaccia, touring a market (and eating porchetta) with Emanuela Stucchi Prinetti of Badia a Coltibuono (photo below), and a pasta lesson with Coltibuono’s “sfoglina,” Benedetta. Throughout the book Nostrat teachers, guides, and explains techniques and chemistry with enchanting words. Our fav? We’ve had so many requests from viewers of Samin Nosrat’s “Fat” episode on Netflix. 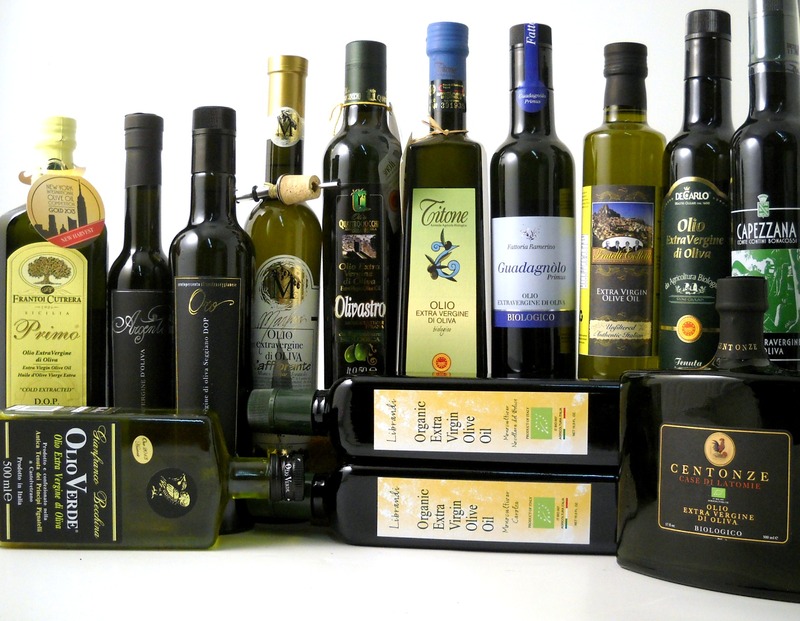 Everyone wants a taggiasca olive oil from Liguria and customers have been clamoring! If you’ve been seeking a top quality taggiasca monocultivar from Liguria, this is for you. This Tuscan selection has long been a favorite of our customers so we were thrilled to see Samin included it with her enthusiastic comments on page 58. What is Agrumato? Is it good on Ice Cream (or Gelato)? The only “flavored” oils worthy of consideration are Agrumato olive oils, made by pressing fruit directly with the olives. Our Agrumato oils are Lemon, Tangerine, Orange and Citron. For a simple yet delightful dessert, drizzle your favorite Agrumato olive oil over gelato or top quality vanilla ice cream (and add a sprinkling of sea salt). Enjoy these sweet clean flavors! In the Netflix show, Fat, Samin tours a market with Emanuela (shown here in our store) and makes pasta with Benedetta. Emanuela is the proprietress of Badia a Coltibuono and Benedetta is the head teacher at the cooking school at Coltibuono. Samin and Benedetta make pasta with an abundance of eggs with double zero flour and a finish of semolina flour. And whenever an olive oil is needed Badia a Coltibuono is at hand! Samin worked at the famous Chez Panisse in Berkeley and also spent time under the wings of the famous butcher Dario Cecchini in Chianti. Visitors to Dario Cecchini’s restaurants in Panzano enjoy his signature beef dishes with Dario’s custom salt blend and his eponymous extra virgin olive oil. Throughout the book, you’ll find references to sea salt, as well as the salty contributions of anchovies and capers. And, the Sicilian Oregano Sauce (on page 368) employs either fresh or dried Oregano. These gems from Sicily are both packed with astounding freshness! This entry was posted in aceto balsamico, Aceto Balsamico di Modena IGP, Authentic Italian Recipes, books, cheese, cookbook, Uncategorized and tagged Liguria, Siena, Tuscany by olio2go. Bookmark the permalink.